Friday on Good Morning Idaho, Jillian Garrigues takes us to IceWorld for a Fireblades hockey practice. It's Sunday at Idaho IceWorld and the Fireblades have their skates on, ready to play. It's practice time for the U-12 all girls hockey team. "It's super fun and you get to hang out with tons of friends," said 11-year-old Irelyn McKernan. "The one thing you can say for sure is they're always having a good time win or lose. We celebrate everything we possibly can. Goals, assists, team camaraderie, it's great," said coach Christopher Lawler. 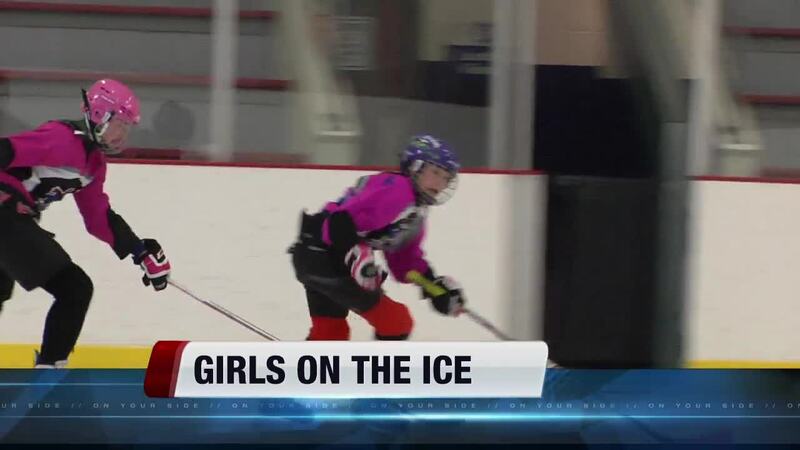 The Fireblades are part of the Boise Women's Hockey Association, a group dedicated to getting girls on the ice. From little five-year-olds, to grown women, all skill levels welcome. "Everybody thinks hockey is a very contact driven sport but that's not really the name of the game here. We work on the fundamentals and everybody has a blast," Lawler said. "It's definitely challenging because you need to know where the puck is going, if it's going in the air, to the left, to the right or staying on the ice. It's kind of scary having the puck go flying at you, especially at your face. Sometimes you forget if you have a helmet on, so at first I was scared, but now I'm focused on it," said the team goalie, 11-year-old Kelly Wold. The team practices once a week and travels to several tournaments and games throughout the winter, with their parents cheering them on. "It's funny, we can hear them the night before the game or in the locker room and they're strategizing and chirping about what they're going to do," said Heather Davis, mother of Fireblades player Mya Davis. "For my daughter Suzi, getting to play with other girls is just a huge thing. She doesn't mind playing with the boys, but her true absolute love is getting to play with all girls," Jill Vidmar said. "Thank heaven hockey exists. It's been a great activity, the girls love it, and it's a great opportunity to meet good families," said Jane Wold, mother of players Kelly and Anna Wold. The Fireblades are fearless on the ice. "They're pretty tough girls. They wear cages and neck guards. It's a requirement, so we're grateful for that. They're fully padded and play by regulation. I think we moms worry a little bit, but it's the same if they played soccer or volleyball," Heather Davis said. And don't tell this team hockey is a boy sport. "Just because it seems like it's a boy sport doesn't mean it is. 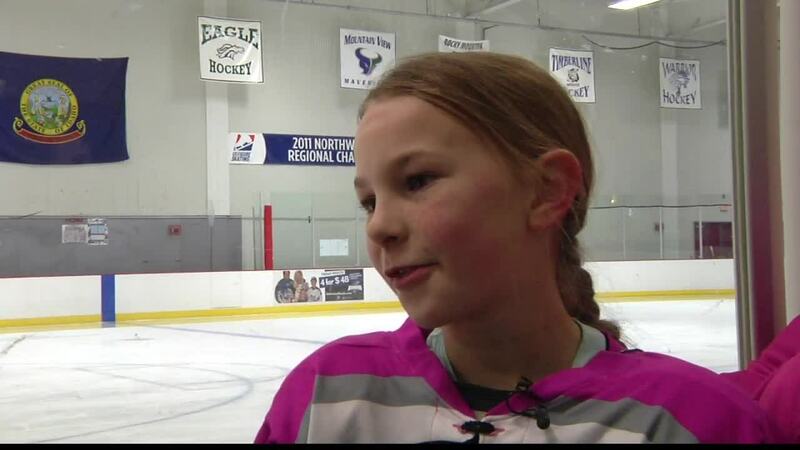 Hockey is for everyone," said 11-year-old Anna Wold. The Boise Women's Hockey Association encourages anyone interested in trying hockey to contact a BWHA member. All contact information is listed online at: www.boisewomenshockey.org . Sunday, February 26th, BWHA is hosting the Girls Try Hockey Extravaganza at Idaho IceWorld. It's a free event for ages 6 to 18. Gear and equipment will be available to use. Registration and equipment setup begins at 10:15 a.m. Ice time is from 11:00 a.m. to noon, and a pizza party and Q & A session will follow from 12:30 to 1:30 p.m.
For more information, visit www.boisewomenshockey.org , or visit the BWHA Facebook page .